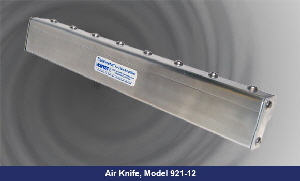 ITW Vortec’s Curtain Transvector® Air Knives efficiently blowoff wide surfaces of debris as well as provide high speed drying for a broad range of industrial applications. 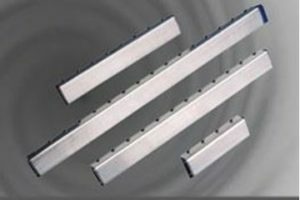 Ionizing Curtain Transvectors® add a Static Neutralizing Bar to kill static cling and discharge dust and particles for blowoff. 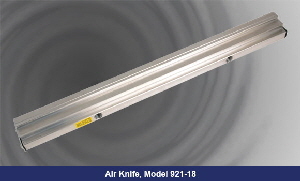 Watch Video on Air Knives! 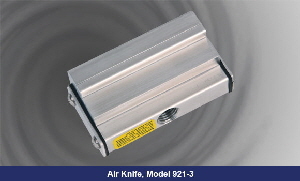 Since Curtain Transvectors are air amplifiers, they use a small amount of compressed air to deliver a powerful, high velocity, laminar sheet of air over wide areas, moving webs, sheets, film, strips, auto bodies and other large assemblies and objets. Our patented design produces increased thrust and velocity, reduced noise, excellent uniformity and significantly outperforms any competing, wide blowoff device. Curtain Transvectors, as well as the Ionizing versions, have numerous and diverse processing, finishing, fabrication, assembly, and other industrial uses for cooling, drying, cleaning or static removal on wide surfaces. 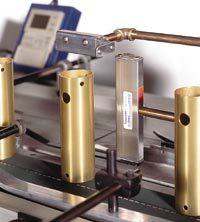 Curtain transvectors use a small amount of compressed air to deliver a high velocity laminar sheet of air over wide areas such as moving webs, sheets, strips, autobodies and other large objects. 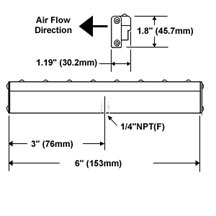 Curtain Transvectors amplify the free surrounding air at a ratio of up to 25 times the compressed air consumed to provide greatly increased airflow while drastically reducing compressed air consumption. 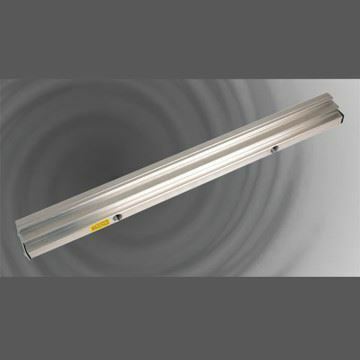 Curtain Transvectors use the same impulse principle as other Transvector products to accelerate a large mass of stationary air with a thin sheet of compressed air, released at sonic velocity, through a linear slot which is 0.002” wide. As this sonic velocity air exits the slot, it collides with nearby still air, inducing and entraining a much larger flow. The Curtain Transvector Performance Chart below lists the SCFM consumption at various inlet pressures for each size of Curtain as well as the width and velocity of the output flow at various distances from the Curtain.